Here you go! 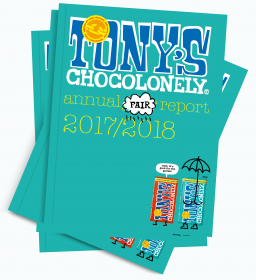 Add our annual report 2017 - 2018 to your basket during your next shopping trip. Time has flown and we can’t wait to tell you what we have seen, done and accomplished in 2017 - 2018. Why? As a Social Enterprise (yep, that’s what they’re calling us), we think it’s important to share our goals, strategies and results with you. In this fair report you’ll learn what we are most proud of, about our challenges and the mistakes that we’ve learned from in the past year. Enjoy!